At some companies, this is the asset management system. Fortunately, today’s asset management systems allow IT professionals to track and assign hardware and software easily. Asset managers may, for example, make sure there are enough software licenses to avoid getting into trouble with an outside software audit. But trying to do asset management on the cheap can lead to disaster. Your IT asset manager may do a great job of keeping his Excel worksheet of all the company’s hardware and software assets up-to-date, but one misplaced bottle of Mountain Dew can wipe all that out in an instant. Don’t let this happen to you. Take the following quiz to get an idea of how disaster-proof your IT asset management system is. 1. Can your asset management system help you anticipate capital expenditures so the company can better manage cash flow? If your system is able to flag hardware that is nearing the end of its lifespan, you can notify the hardware acquisition people in advance so that there are no unpleasant surprises on the day the company’s new austerity program is announced. 2. Can your system identify assets that aren’t being used so you can get them off the books? Kyle in Design will be surprised to find that you’ve arranged for a software upgrade, particularly since he stopped using that software six months ago. Getting unused assets off the books saves money and time. 3. Is usage data collected for analysis so your organization can adjust its purchases? Upgrading the Art Department’s Photoshop software is of little help if they’ve all switched to using InDesign. 4. 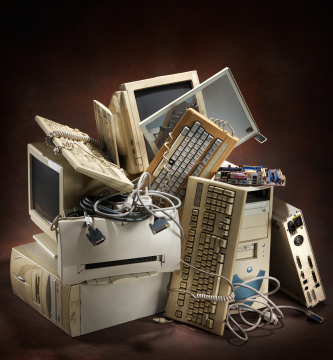 Can your IT asset management program deal with loaner or rental equipment? If the junior accounting clerk has been using a loaner computer that needs to go back by Friday, she’s not going to be too happy on Monday to find out that nobody arranged for a replacement. 5. Does your asset management system match hardware inventory to service agreements, software licenses, and other contracts? An external software audit that finds that key personnel are using unlicensed software can make for a real downer of a work week. 6. Does your system account for machines that use different operating systems? Three different systems to cover Windows machines, Macs, and Unix machines can be very inefficient. You’re far better off having a system that supports multiple OSes. 7. 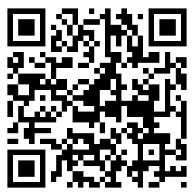 Do you assign QR codes to each asset for tracking purposes? If so, you can use your smartphone or other mobile device to scan it and immediately display asset details. If not, you’re stuck dealing with manually cataloging assets. Go on. You know you want to scan it. 8. Can you easily identify which software titles are used, and who they’re used by? Having an asset management system that organizes your software titles, along with relevant information about how they’re used and how many copies there are, means you can easily search for a software title and see exactly who is using it. 9. Is your hardware configuration information detailed enough? If your asset management program allows you to catalog hardware properties like CPU, BIOS, disks, sound cards, and other properties, service desk workers will have a far easier time diagnosing and correcting problems that arise. 10. Does each asset have a complete history associated with it? Suppose Jill in Marketing calls because her new computer isn’t working. The service desk worker can check the computer’s history, determine that Alex used to have it before he changed jobs, and determine through the history report that Alex was always downloading stuff he shouldn’t have, including viruses, thus making the next steps more obvious. 35 to 50: you’re doing a decent job of protecting your asset management system from disaster, but admit it: there are some things you could do better. 15 to 35: you should seriously consider getting a better asset management system, because you’re taking unnecessary risks. Good asset management saves your company time and money and helps your service desk workers understand problems better. Whenever you lose an asset and have to replace it, you’re spending unnecessarily. When you pay for a repair on equipment you didn’t know was still under warranty, again, you’re wasting money. Keeping track of printers, desktops, laptops, peripherals, and other equipment not only lets you make the best use of the equipment, but also helps you keep on top of problems like illegal software downloads. Businesses that systematically manage their IT assets can reduce the total cost of an asset significantly over its lifespan, help ensure network protection, and minimize monetary losses.